I confess that I love listening to music. I confess I haven't posted much today. I confess I am nothing without him. I confess what Sarah confessed. 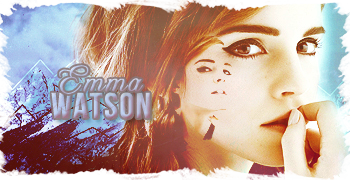 I confess I am obsessed with Emma Watson. I confess people can't know what love is until they are old enough to experience it. I confess i'm very cold right now. I confess i'm falling for someone I really don't have time to fall for. Dear everyone ( you know if this applies to you or not!) as I am away - and not sure how nice my internet connection will be, I thought if I wrote something on here, people might see it and know that i'm not just leaving and ignoring you Dax suggested a cookie cake, and Kim suggested Going away balloons with water in them, and I thought they sounded pretty neat. But but i'm not going away! Just going on a hiatus or two of varying lengths, but i'll be back. To those I didn't get to say goodbye too - GOODBYEEE I miss everyone already. Keep up the chats and discussions for me okay? I confess that I'm also annoyed at the moment.